Diamonds of frost burst from a field of bluestem as six thick-coated coyotes parted the grass and trotted single file like a mission-driven SWAT team. After the morning hunt I told my hunting buddy about them. “Why didn’t you shoot?” he asked. “I didn’t want to spook any deer,” I said. “So you’d rather they kill the deer?” he replied. To what extent do predators impact the deer herd on my small property? Do I need to do something? Can I do something? What I found after reading studies and talking to biologists surprised, confounded, and encouraged me. There’s a reason why predators roam your whitetail property. If it holds deer then it has the habitat that benefits other types of wildlife. Prey animals attract predators. A healthy ecosystem necessarily contains both predators and prey. Predators keep wildlife populations in check, ensuring they don’t overbrowse the land past its carrying capacity. And while humans can influence predator populations with aggressive, sustained eradication campaigns, predators do a pretty good job of self-regulation. For example, when prey gets sparse, coyotes tend to move to other locations and also compensate by having fewer pups per litter. Biologists assure us that eliminating all predators—if that’s even possible—is not the answer to improving your deer hunting. Regional studies differ, but the average mortality rate on whitetail fawns caused by bobcats is only around five percent. Coyotes do much more damage: somewhere between 20 and 70 percent of fawn mortality in the first 12 weeks of life depending on many factors. Foxes have negligible impact. “While coyotes do prey on whitetail deer, the ones being killed are usually the sick, old, and young,” said Dallas Barber, big game biologist for Oklahoma’s Department of Wildlife Conservation. Sure there are cases of individual coyotes or bobcats killing adult deer, but it’s rare enough that most biologists say it doesn’t impact the overall herd in a meaningful way. 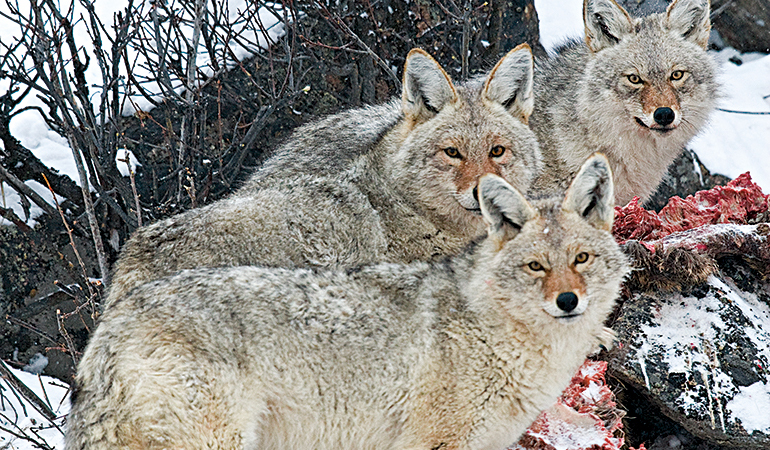 Think You’ve Got Too Many ’Yotes? Nonetheless, if you’re worried about predators robbing your property of its maximum deer potential, the first thing you should do is to take an honest assessment of your deer herd and the land. In a study titled “The Impact of Predators on Deer in the Southeast,” David A. Osborn and Mark D. McConnell wrote that “if trail camera surveys and hunter observations suggest a deer herd is stable or growing in spite of predators, there is no reason to take actions against predation. Realizing this, however, I still can’t help but wonder what would happen if I thinned the number of predators on my property. Wouldn’t I have more deer then? Although research varies wildly regionally based on factors like food, cover, snowfall, and deer harvests, the simple answer is maybe. 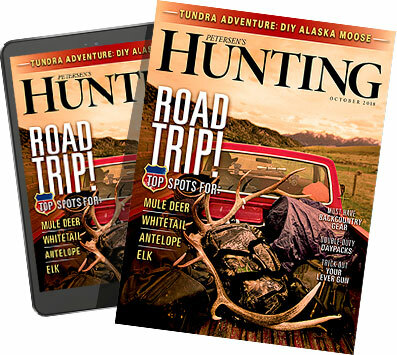 The longer answer is, if copious time and money are spent reducing predators each year—and especially in the fawning season—properties that have low deer populations can see a significant increase. One experiment in Texas doubled its fawn survival rate—but only for a year or two until the predator populations bounced back. And they almost certainly will without sustained, thorough eradication. What’s more, a fawn survival rate that is double the natural rate (with predators) is likely not good, either. Habitat can sustain only so many deer until it would require supplemental feeding, as is so common in high-fence areas like those in Texas. In all but the most controlled operations, land managers can more effectively increase low whitetail numbers by reducing their adult doe harvest. At the same time, killing some coyotes isn’t going to hurt deer—and certainly not the coyote population. If you feel the predator-to-deer balance is out of balance on your property, first make sure your deer population is actually down via systematic study or, ideally, professional counsel and not just by noting how many deer you see during a few days hunting. Next, ensure the deer have adequate cover. Woods with little underbrush—specifically pine forests—make finding fawns easier for predators. You can install food sources, such as chestnut trees and food plots, do prescribed burns to encourage new forb growth—healthier does mean healthier fawns—and discontinue harvesting adult does. Then take some coyotes in the fawning months by hunting and trapping. Chances are, predators aren’t damaging your deer herd as much as you think, and they could actually be helping it. Still, something about that pack of marauding coyotes I saw makes me want to break out my .22-250 and a Johnny Stewart caller. Besides, hunting coyotes is great fun, too. As a hunter and not a rancher, I’ve decided I don’t want to kill them all even if I could. Indeed, my life is enriched by hearing their howls at night. But I also don’t mind collecting a few furs for the den. In all wildlife management, moderation is usually best.